Ok, Nearly everybody who has spent more than fifteen minutes on the web can make a web page. There are hundreds of HTML editors, thousands of books and millions of web sites that can walk you through the basics of HTML. So why another HTML tutorial? Teaching the basics of HTML is not what this part of the Power Verbs web site is about. 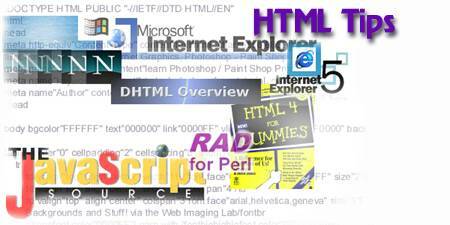 It is assumed you already have a good understanding of HTML and web design. The intent of this site is to make you better at what you already know. The web is far too complicated for anyone to know it all. Therefore, even the professional designer will find something new here. You will find HTML tips that will make your scripting more efficient, easier, and give you more control of your pages. The focus is on tags that are not often used, attributes that extend the basic tags and properties that are rarely used or talked about. If you have a few months to study, you can get a grasp of CGI and Perl. That is well beyond the scope of what you will find here. Instead there are some basic scripts to do some useful things on your web pages, such as a form script, message board, guest book and site search engine. Instructions on how to configure the scripts are included. Last but hardly least; there is a tutorial on telnet. You need to set permissions for your scripts and you can find out how to do it here.